Cast cows sold well for mainly plainer cattle with the sale topping at 165p for a Limousin cow sold by D Dewar & Son, Arivore followed at 144p also for a Limousin from WH & DA Gass, Nunscleugh. Top price per head was £1,188 for a Limousin cow sold by D Dewar & Son, Arivore. 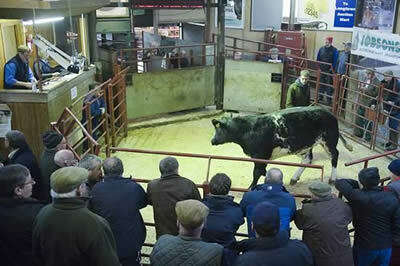 A very good selection of clean cattle saw trade brisk throughout with an overall sale average of 230.4p. More needed weekly. Top price was 240p for a Limousin heifer shown by J Jardine, Yett Farm who also sold another to 239p. After that at 238p was a pair of Limousin heifers sold by J&J&D Taylor, Englishtown. Top price per head was £1,489.60 for a British Blue heifer sold by A & WJ Taylor, Dashwell Green. Limousin Heifer 240p, 239p Yett, 238p (x2), 237p Englishtown, 234p, 233p Dashwell Green, 232p, 230p Englishtown, 230p, 228p Dashwell Green. Limousin Steer 230p, 229p Englishtown. British Blue Heifer 224p Dashwell Green. Limousin 165p Arivore, 144p Nunscleugh. British Blue 131p, 114p Arivore. Luing 130p (x2), 126p Georgefield. Black & White 102p, 94p Jerriestown. Limousin Heifer £1,489, £1,414 Dashwell Green, £1,392 Englishtown, £1,368, £1,333, £1,328 Dashwell Green, £1,302 Yett. British Blue Heifer £1,489 Dashwell Green. Limousin £1,188 Arivore, £986 Nunslceugh. Black & White £571 Jerriestown. 94 spring lambs were a larger entry, with the best quality lambs being over 300p per kilo. Many more quality lambs are required on a weekly basis. Next week includes the Show and Sale of prime lambs. .
Texel 362p Dashwell Green, 314p Broomhills, 300p Haltcliffe, 295p Inamay, 286p Kirtleton House, 281p Stoneraise, 280p Triermain, 274p Broadlea Cottage, New Hummerbecks & Cleughbrae, 272p Langholm, Dundraw & Mosshill, 271p Keepershield, 270p Kirtleton House. Beltex 309p, 303p Snade, 300p, 295p Dundraw, 279p Snade, 268p Sowerby Wood, 267p Dundraw, 263p Snade, 260p Cardewlees. Suffolk 285p Scales Hall, 274p North House, 253p Borthwickshiels, 244p Keepershield, 243p Borthwickshiels, 239p Kirtleton House, 238p North House & Cardewlees, 236p Demense, 234p Thirdpart, 230p Clayock. Cheviot 282p, 281p, 280p West Scales, 276p Faulding Cleugh, 274p, 273p, 272p West Scales, 268p North Shortcleugh, 267p, 266p, 264p West Scales, 266p Dryfeholm, 264p Crosslee, 263p West Scales, 261p Broomhills, 260p West Scales & Drumreach. Mule 265p Dunjop, 237p High Yarridge, 232p Cardewlees, Sowerby Wood & Drumreach, 231p Nunscleugh & Buteland, 222p Dunjop, 220p Rowanburnfoot. Charollais 256p Oulton Hall, 250p Kirndean, 225p Rowanburnfoot, 220p Sloda Hill. Blackface 251p Stoneraise & Dunjop, 244p High Yarridge, 242p Drumreach & Gate Ghyll, 240p Newhouse, 238p Langholm, 237p Rowanburnfoot, West Scales & Orchard Mains, 234p Sowerby Wood & Macharioch, 232p Skirling Mains. Dorset 244p Greenrigg, 238p New Hummerbecks, 237p Greenrigg. North Country Cheviot 237p Achow, 228p East Deloraine, 226p Berryfell. Half-bred 236p Sornfallow, 229p Nettling Flatt. Herdwick 228p Cumcrook, 224p Longrow, 222p Powheads. Swaledale 226p High Priorscales, 222p Gate Ghyll. Texel £160 Marygate, £157 Broomhills, £156 Haltcliffe & Forss, £155 Marygate, £149 Dashwell Green & Aimster, £147 Broomhills, Park Nook & Drumreach, £146 Oulton Hall, £143 Triermain, £141 Park Nook, Broomhills & Dashwell Green, £139 Barsalloch, £137 Dundraw & Broomhills, £135 Steilston & Sowerby Wood. Suffolk £154 Scales Hall, £137 Demense, £129 Kirkleton House, £127 Keepershield & Branteth, £118 North House, £117 Thirdpart, £115 Clayock. Beltex £147 Dundraw, £139 Snade, £139, £130 Dundraw, £117, £115, £113 Snade, £113 Dundraw. Charollais £147 Inverae Cottage, £123 Oulton Hall. North Country Cheviot £130 Boreland, £121 Achow, £119 East Deloraine, £115 Catslackburn, £113, £105 Berryfell. Mule £127 Dunjop, £119 Rowanburnfoot, £109 Sowerby Wood, £105 Cardewlees, £104 Dunjop, £103 Marygate, £100 Cardewlees. Cheviot £125, £123, £121, £119, £118 West Scales, £120 Toftholm, £117 Broomhills, £116, £115 West Scales, £113 Faulding Cleugh, Cleughbrae & Langholm, £110 West Scales, Jerriestown & North House. Blackface £117 Sowerby Wood, £115 Newhouse, £104 Drumreach, £103 West Scales, Stoneraise & Dunjop, £95 High Yarridge & Newhouse, £93 Cramalt & Drumreach, £91 Newhouse, £90 Dunjop, Merkland & West Scales. A smaller entry of 2,845 cast ewes and rams were forward to the usual ring of buyers. Due to fasting starting for the feast of Ramadam, heavy ewes sold at slightly lesser rates on the week with fewer smaller plainer ewes forward resulting in a short supply and an improved trade. 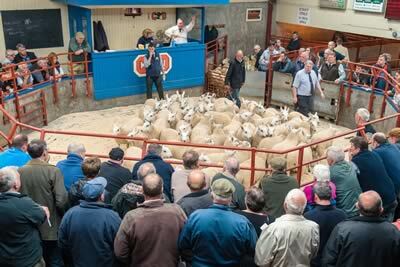 Top of £174 for Texel ewes from Messrs Ridley, Haltcliffe, Wigton. Light ewes to £84 for Lleyns from South Riccalton & Sloda Hill. Cast rams to £130 for Texels from Messrs Barnett, Gilside, Haltwhistle. Texel £174 Haltcliffe, £161 Gilside, £160 Beckfoot, £160, £155, £152 Marygate, £151 Bascodyke Foot, £149 Aimster & Tercrosset, £148 Springfield Farm Court, £147 Ward Hall Guards & Viewley, £146 Marygate, £145 Chaseside, £143 Bascodyke Foot, £142 Harene, £141 Viewley, £140 High Chesters, £138 Arkleby House, £137 Tercrosset, £135 Ward Hall Guards, £132 Woodhead, £130 Chaseside & Bidlake, £129 Bascodyke Foot, £127 Ward Hall Guards & Drumreach, £126 Sornfallow & Eastside, £125 Beckfoot. Charollais £160 Snade, £136 Glengolly, £133 Bidlake & Chaseside, £125 Viewley, £121 Beckfoot. Beltex £140 Snade, £128 Arkleby House, £125 Beckfoot, £120 Snade. Suffolk £131, £127 Viewley, £130 Catslackburn, £129 Nettling Flatt, £128 Harene, £125 Chaseside & Beckfoot, £124 Catslackburn, £123 Beckfoot, £121 Chaseside, £119 Viewley & Beckfoot, £117 Thirdpart & Beckfoot, £116 Woodhall, Eastside & Newhaven, £115 Heatherglen & Bidlake. North Country Cheviot £113 Lythmore, £101 Aimster & Achow, £100 Dodsonstown, £99 Aimster & East Murton, £97 Thirdpart, Drumreach & Dunster, £95 Lythmore, £90 Boreland. Cheviot Mule £113 Hallburn, £108 Nettling Flatt, £97 Golden Lane, £95 Heatherglen, £93 Viewley, £92 Nettling Flatt, £91 Dunster, £90 Sornfallow, £87 North House. Blue Faced Leicester £105 Romesbeoch, £104 Eastside, £93 Dalbhraddan, £84 Spoutbank. Blue du Maine £100 Ward Hall Guards. Mule £96 Springfield Farm Court, £95 Eastside, £94 Marygate, £93 Gilside, £91 Thirdpart, £90 Buteland & Sornfallow, £89 Rowanburnfoot, Settereth Park, Rigg House & Ward Hal Guards, £88 Hoddamtown & Eastside, £87 Stobswood, Boreland, Buteland, Westernhopeburn, East Greenridge & Bidlake. Half-bred £91 Aimster, £89 High Aketon. Lleyn £84 South Riccalton & Sloda Hill. Blackface £83 Boreland, £82 Burnhouse, £80 Merkland & Sornfallow, £78 Brown Hill & Marygate, £75 Buteland, £73 Eastside, £71 Burnhouse & Longlea, £70 Plumpe, £69 Bush of Ewes, £67 Torgornack, £65 Rowanburnfoot, Barsalloch & Langholm. Cheviot £82 Borthwickshiels, £80 Chesters Brae, £79 East Deloraine & Longlea, £78 East Murton, £77 Catslackburn, £76 West Deloraine, £74 Girnwood, £73 Bush of Ewes & Tushielaw, £72 Low Tirfergus, £71 Merkland, £70 Stobswood. Swaledale £79 Coombe Cragg, £78 Haltcliffe, £77 Nunslceugh, £69 Toll Cottage, £67 Settereth Park, £66 Midtodhills, £63 East Greenridge, £62 Coombe Cragg, £61 Dilston Haugh. Texel £130 Gilside, £107 East Greenridge, £100 Marygate, Mirkbooths, Bascodyke Foot & Viewley. Blue du Maine £120 Heatherglen. 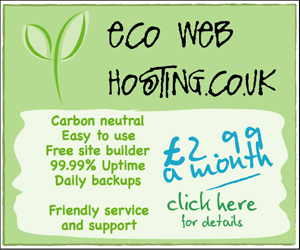 Suffolk £111 Beckfoot, £104 Heatherglen, £100 Thirdpart. Cheviot £90 Berryfell, £89 East Deloraine. Blackface £82 Selcloth, £80 Bush of Ewes.